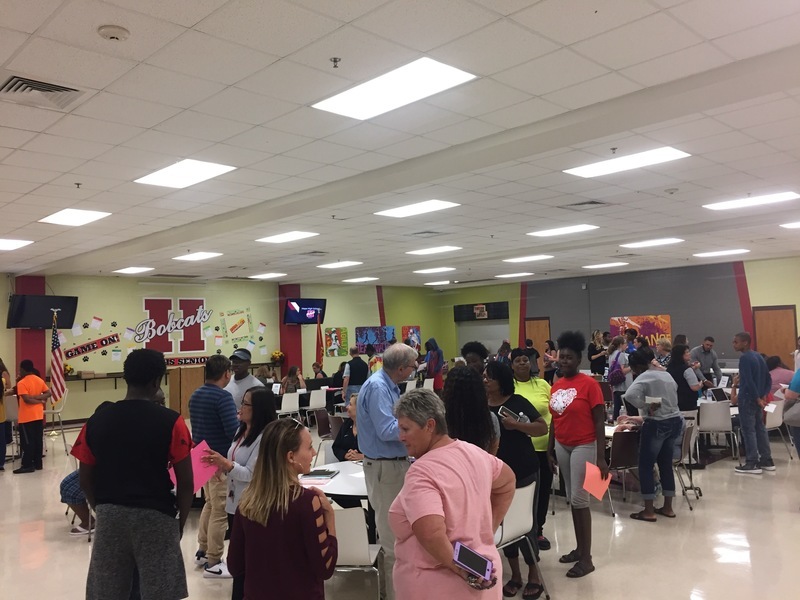 HOPE – Despite a soaking by thunderstorms which swept through Hope late Wednesday night and into the predawn hours Thursday, all campuses of the Hope Public Schools will be open for classes on Monday. Administration and staff at Hope High School scrambled early Thursday to get the HHS main building back in the dry after rain water invaded the second floor of the building and leaked into portions of the first floor. The storms dropped some 2-4 inches of rain across portions of Hempstead County, according to the National Weather Service. Open House activities at HHS were consolidated into the school cafeteria, resulting in an almost carnival-like atmosphere for students, parents and teachers. HHS Principal Bill Hoglund said other parts of the campus will be utilized in place of affected classrooms, and necessary adjustments to student schedules were made during Open House. Early dismissal days are set for Oct. 3, Nov. 7, Dec. 5 and 20, Feb. 6, March 6, April 3, and May 1 and 23. Parent/teacher conference dates are Sept. 13 and Feb. 14. No classes will be conducted the day after on Sept. 14 and Feb. 15. Hope Bobcat football tickets are still on sale at Hope High School. Season tickets for individual box seats are $100 and an entire box is $400. Reserved seating tickets for home games are $25 each, and general admission seating is $5 per seat. The Bobcats play Nashville in a traditional rivalry for the home opener on Aug. 31 at 7:30 p.m. at Hammons Stadium. Students report to classes for the 2018-2019 academic year at 7:50 a.m. Monday. The National Weather Service in Shreveport, La., has forecast partly sunny conditions with a high temperature of 90 degrees for the first day of school.